Thirty years may not be a big deal. But when a radio station from the heart of Europe reaches the three-decade mark of airing programmes in a non-European language--and that too in Bangla, Bangalis certainly have cause for celebration. The Bangla Department of the Deutsche Welle (DW)--one of the 30 language departments of the radio station--celebrated its 30th anniversary on April 15 with enthusiasm. The DW Bangla broadcast has won a following, particularly in the rural pockets of Bangladesh and West Bengal. All that the listeners need, to reach the daily 7am-8am programme providing the latest updates of the world is tune in to the Short Wave (SW) 31m band and 9615 kHz. This is how DW's Bangla department bridges the divide between the metropolis-satellite culture and the grassroots. Deutsche Welle, meaning "German wave", went on air on May 3, 1953, from Cologne, with just one service in German. The aim was to promote German culture in the face of the post-World War II impression of the country. From that modest start, the DW has developed into one of the world's most important international broadcasters increasing the number of language services every year for the loyal listeners around the world. Now the station has been shifted to the city of Bonn. Among the DW Bangla Department's feast of colourful programmes are Sangbad, Rajniti O Aurthoniti, Germany O Europe, Shanglaap, Quiz, Apnader Motamot and features like Monalisa, Ei Projonmo, Europer Janala, Dristikon and Ekhaney Shekhane. 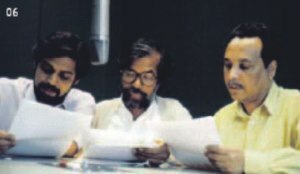 The journey of the DW in Bangla began way back on April 15, 1975. The objective was to promote the Bangali ethos from an absolutely neutral angle. 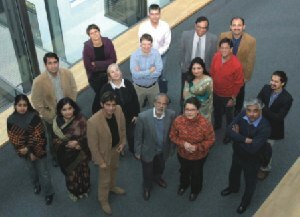 The then Bangladeshi Ambassador to West Germany Humayun Rashid Chowdhury helped make this Bangla Department a reality. Swadhin Bangla Betar Kendra famed Abdullah Al Farooq, who is recently the Head of the DW Bengali Department, is another man behind this success. "Bangladeshis often forget that they are the fourth largest community in the world on the basis of mother tongue," says Mizanur Rahman Khan, Dhaka Correspondent of the DW Bangla Department. Around 23 crore people speak in this sweet language. The DW Bangla Service opened wide opportunity for the Bangalees to relish the essence of the German culture, literature, science and all other aspects as well as the local news without any political or social influences." "Admittedly it sounds pretty impossible that we broadcast authentic news of the South Asian region. And as there is no one to create pressure, this becomes fairly easy for us to do this far away from our countries." "The authenticity of news was proven during the Afghanistan and Iraq wars as well as in case of our local politics," he adds. Explaining the modus operandi of the broadcast service, Mizan says, "Although the transmission is limited only to Bangladesh, West Bengal, Tripura and Assam, the DW Bangla Service has an attractive website where people can read news in Bangla. And for convenience, the Unicode Bangla font has been used. Surfers can also listen to the news and view the video clips." The importance of the South Asian region has increased in recent days after the 9/11 incident, which brought countries into a major conflict. "And this has had an impact on the DW too, prompting an extra 10-minute transmission time allocated for the Bangla Department. Now the total broadcasting time has reached an hour," asserts Mizan. Regarding the response of the listeners, Mizan says, "We receive over one lakh mails per year from our listeners and fans all over the world. Many clubs of listeners are engaged in diverse social works all over the country. However, most of the listeners are from outside Dhaka--largely from Rajshahi, Khulna and other cities." On the occasion of successful 30 years, there is every reason to hope that the DW Bangla Department will attract more listeners in the near future.